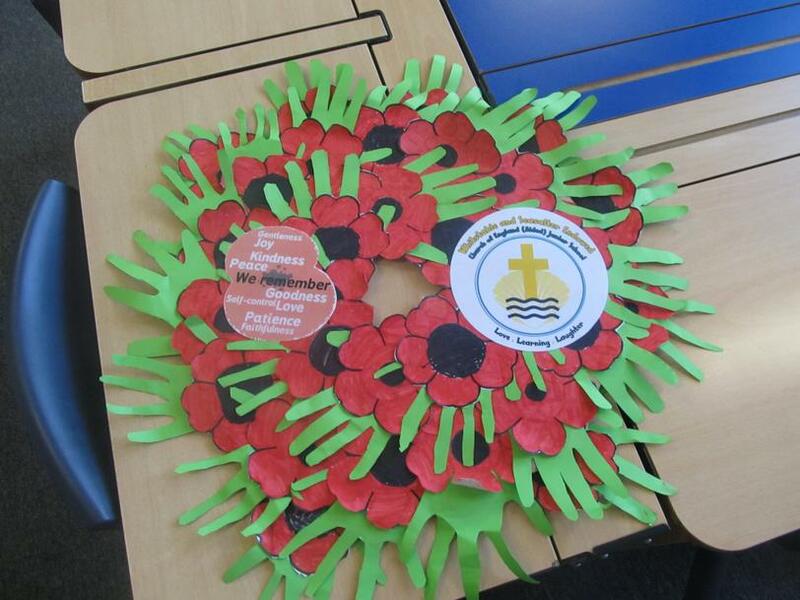 Our Lower School classes each made Poppy wreaths last week. 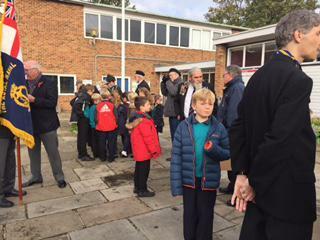 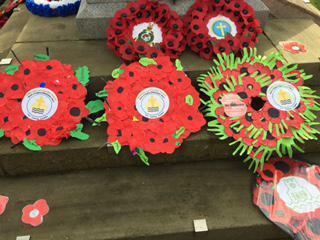 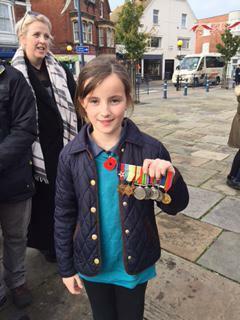 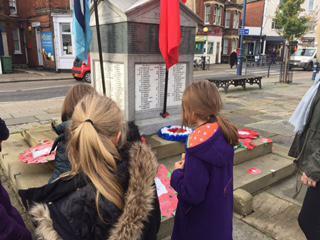 Our RE Council and other children took the wreaths to the War Memorial on Friday 11th for the Remembrance Service. 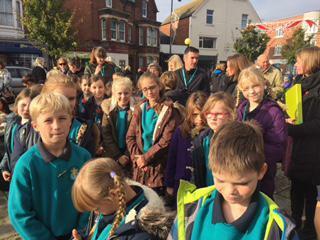 They were all very proud to represent our school, along with other local schools and businesses. 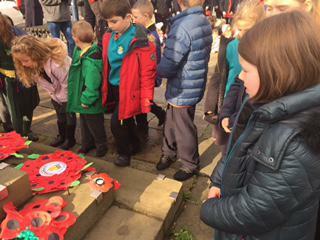 Our school also observed a two minute silence at 11.ooam.